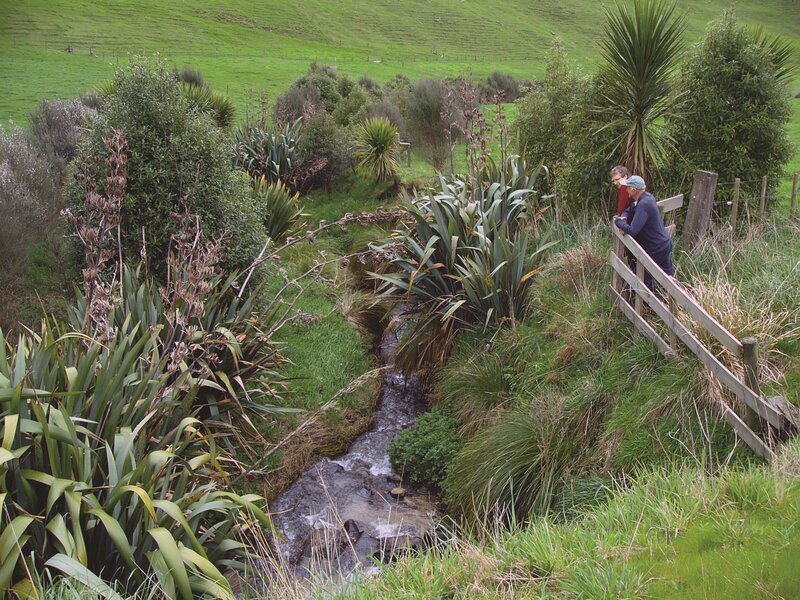 To help dairy farmers protect New Zealand’s waterways, DairyNZ has created a free online tool called the Riparian Planner. It walks farmers through an easy step-by-step process to design, budget and prioritise waterway management on their farms. Any kind of land that borders a river, lake or wetland is called a ’riparian zone’. Riparian zones that are grass-covered or planted help to prevent erosion and filter out sediment, bacteria and nutrients before they can enter waterways. For farmers, managing these riparian zones involves three steps: stock exclusion, weed removal, and maintaining a groundcover of grass or plantings. Fencing stock out reduces bankside erosion and helps plant cover to develop. Excluding stock from seasonally or permanently boggy areas allows wetlands to regenerate and these convert nitrogen leachate into harmless gas. Weed control helps plantings and grass margins be more effective. Choices for weed control include hand-weeding, frilling/slashing, and spraying with broad (glyphosate-based) or specific herbicides. Maintaining good grass or planting cover on drains also protects drainage and reduces costs for clearing. The choice of planting trees or sticking with grass depends on your objective. If you want to create shade for your stream to reduce weed growth and help insects by keeping streams cool, we recommend upper bank shrubs or trees which generally require wider zones (3 metres +). If you want to reduce nutrient, sediment and bacterial loss by runoff, then smaller zones (1-3 metres) of grass or native lower bank plants are ideal. See what we recommend for you in DairyNZ’s regional ‘Getting planting right’ guides at dairynz.co.nz/planting-waterways. Why does riparian management matter? 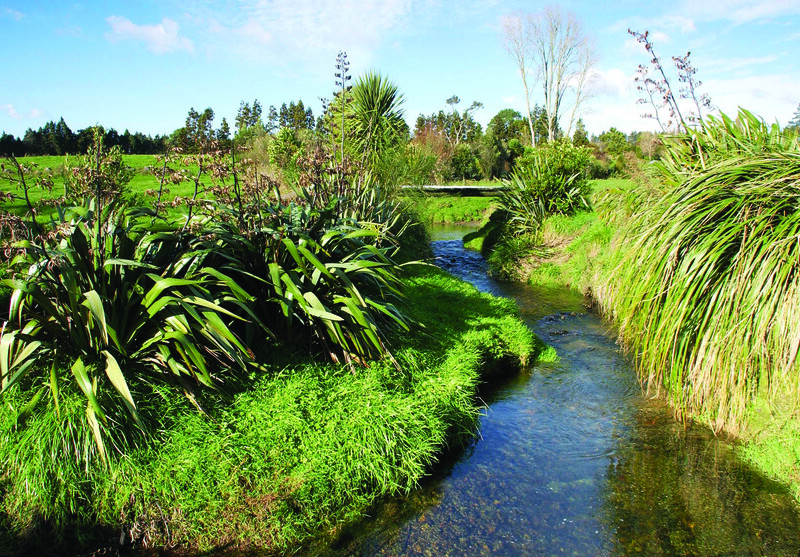 Riparian management improves water quality – it’s a simple answer to a complex problem. We all care about the quality of New Zealand’s waterways. So, to steer farmers in the right direction, industry and regional councils are setting challenging targets for riparian management on-farm. Under the Sustainable Dairying: Water Accord, all dairy farms nationwide have voluntarily agreed to put a riparian management plan in place by May 31, 2020 (backed by your supply company). 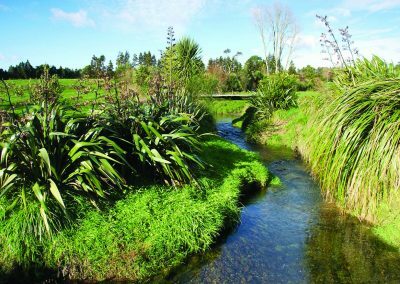 We’re the only sector to do this; we’re environmental leaders and the new Riparian Planner tool, explained below, shows Kiwis that we’re serious about water quality. What is the Riparian Planner? Launched in 2016, the Riparian Planner enables farmers to create a riparian management plan tailored specifically to their farm and catchment. The tool is a world-first in that there’s no other guidance tool for waterways, let alone one that doesn’t require advanced training. 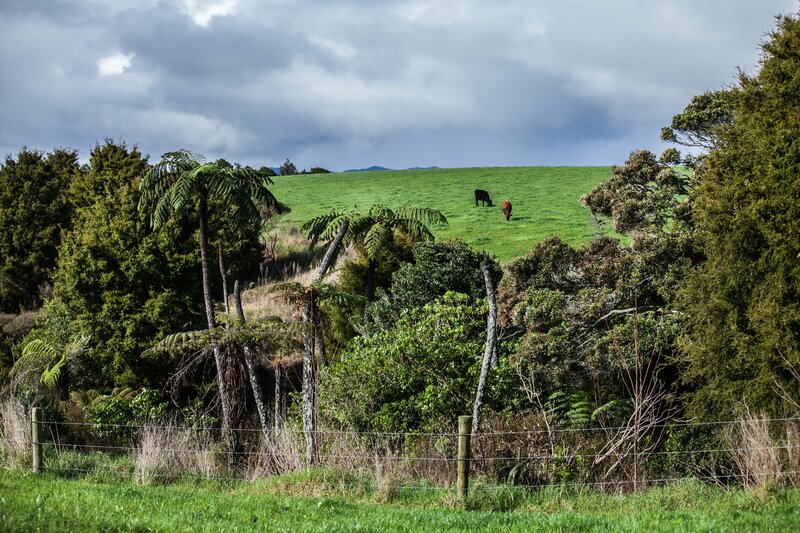 In creating it, DairyNZ and Landcare Research worked with farmers, regional councils, water scientists and rural professionals to ensure it would be simple and farmer-friendly. Farmers and advisors can use the Riparian Planner with minimal expertise. It’s intuitive and guides you through the four-steps of good riparian practice. You get to decide the right balance of actions for your waterways and farm. The tool enables you to create anything from the simplest to the most detailed set of riparian actions for any waterway in the country. 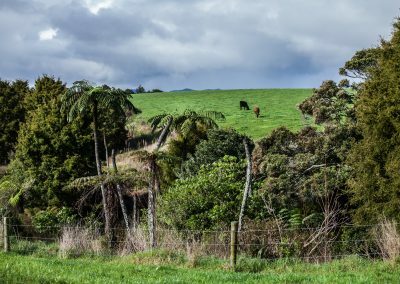 The Riparian Planner also collates your agreed actions around fencing, planting and maintenance into one handy plan, taking into account your budget and timeframe. This plan is stored securely online and you can choose to print it – along with your regional plant list and riparian map – time and time again. Personalise your plan: name it, select a land use and locate your farm using a supply number or address. Map and describe your waterways (see Figure 1): use the stream/river, pond/lake or wetland tools to map your waterways. Answer some questions about these waterways and the Riparian Planner will recommend actions for you to improve water quality. Plan your actions: play with the options to find the right actions to suit your farm. The Riparian Planner produces costs and lets you set reasonable timeframes. Put it together into your personalised riparian plan (see Figure 2): all your decisions are stored in a simple plan, with your recommended regional plant choices and map of what’s happening when and where. Revisit the plan whenever you like, updating or changing your goals. Using the Riparian Planner is easier with how-to videos on the website. Go to dairynz.co.nz/riparianplanner. You can even request one-on-one support from DairyNZ in the tool, using the ‘Contact’ link. DairyNZ has also created how-to videos for fencing, weeding and planting on-farm. These and the ‘Getting riparian right’ guides for your region are available at dairynz.co.nz/waterways. The Riparian Planner project is funded by the $170 million Primary Growth Partnership programme. This is led by commercial partners, including DairyNZ and Fonterra, and partnered by Minsitry for Primary Industries. 1. Riparian plans improve water quality. Use the Riparian Planner to make your own plan. The Riparian Planner is free, easy to use and guides you through the steps of good practice. 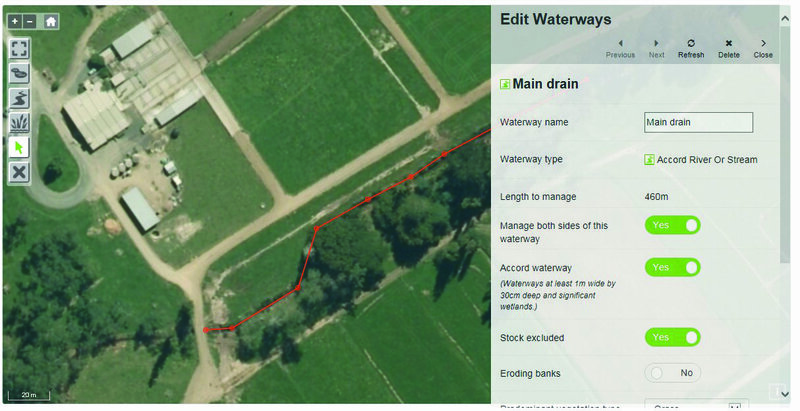 To give the Riparian Planner a go, head to dairynz.co.nz/riparian-planner. 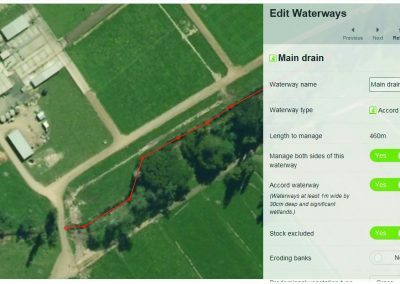 Screenshot of the Riparian Planner showing step two – how to map waterways. 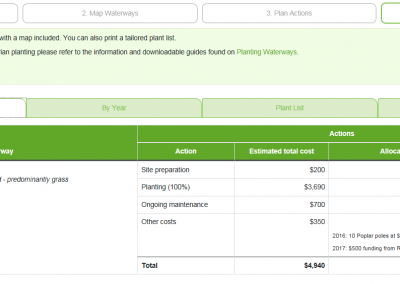 Screenshot of the Riparian Planner showing step four – compiling your plan into one easy, downloadable and printable summary.